Beautiful landscaping starts with a plan. Following are the steps I take in preparing your new landscape. Initial Meeting: Complimentary meeting to determine your needs, goals and lifestyle. We will walk the property together to determine and visualize your objectives. Design fees are based upon the size and scope of the project. Site Analysis and Horticulture Review: The site is documented. At this time I will present photos of gardens and plants for your review while we both share ideas and concepts. Design Development: A detailed design is developed including existing conditions, light exposure, soil, drainage. I will review the project with any necessary professionals to obtain proposals on irrigation, hardscapes, water features, lighting or anything else related to design development. 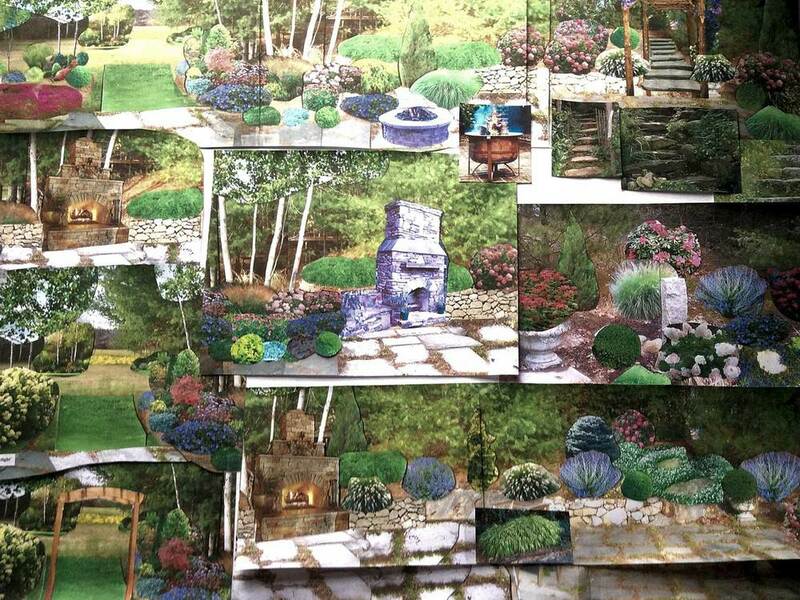 Design Presentation: Presentation of design boards including the landscape design, a comprehensive list along with photos of plants and shrubs. Changes to the plan are discussed and finalized. Installation Proposal: A proposal is submitted with labor, plants, quantities and materials itemized. Example of design presentation board.